AXIS Salon's Hair Pu'tee: A New Alternative to Salon Branded Hair Products. It’s not always that guys find a great hair product. I’m not a big fan of the wet, Rico Suave look. I prefer a matte finish, but more importantly the ability to change hairstyles with a few twists and shakes. My other pet peeve with hair products is strong scents. As far as I’m concerned, hair products should be scent neutral or lightly scented. I recently tried a new product from Vancouver’s most awarded hair salon, AXIS. 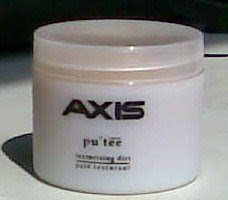 The product is called AXIS Pu'tee- Texturizing Dirt. 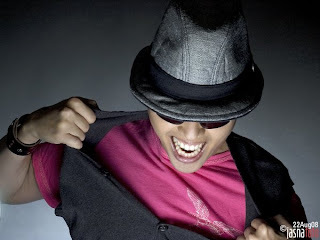 I’ve used similar products from other brands like Sebastian and American Crew. From a price point perspective, AXIS Pu'tee falls within the $15 mark compared to Sebastian’s Craft Clay that sells for $25 and American Crew’s Citrus Mint Clay for $20. In terms of performance, the Pu'tee “holds” strong. This flexible styling pu'tte gives you endless styling looks and options. With natural ingredients like beeswax, olive triglycerides, and sweet almond oil, this product is bound to make to make your hair follicles jump for joy. Unlike other products, AXIS’ pu'tee doesn’t give you that crispy hold, as if you just got your hair fried. The hold is malleable, allowing you to define, texturize, and style your hair however you want to. And its finish, matte with a light caramel scent! Available at all AXIS Salons in Vancouver, BC.